Temporary tooth filling compounds can either hold displaced crown in place or fill a tooth for up to about two weeks. They are a great thing to have if you cannot consult a dentist right away – like when you’re camping in the middle of nowhere and have a dislodged crown. The typical sign of a dislodged crown or a lost filling is when you feel pain when cold liquids, food, your tongue, or cold air touches the delicate area that was previously protected with a filling. Use the mixture available with a few first aid kits or stand alone dental repair kit s, i.e., Dentemp. In a case where this is not available, you could roll a ball of sugarless gum or use candle wax or ski wax instead. • Oil of cloves to act as a painkiller. __1. Clean your hands with the antiseptic soap and put on the pair of latex gloves. __2. Prepare the temporary filling – roll a ball of sugarless gum ( or wax ) or if you have it – use the premixed compound. __3. Use the disinfected water to thoroughly rinse the mouth. __4. Apply a drop of oil of cloves (or eugenol ) to the spot in the mouth where the filling or crown was earlier. This should ease the pain in the mouth. __5. Place the temporary filling carefully into the hole and be sure to cover exposed tissues if any. __6. Gently bite down and line the tooth with the one either below or above it. __7. You might want to wait before the filling hardens in case you are using either the premixed compound or the one from a first aid kit. • Fillings are very common with dental work, as they present a way to repair a tooth that has suffered from decay or a cavity back to its original shape. When performing a filling, the dentist will remove the decayed area of the tooth, clean around it, then fill in the area that he has removed with a special material that will cater to the shape and form of the tooth. • Fillings work by closing out the area where the bacteria enters into teeth, helping to prevent any type of decay in the future. The materials used for fillings include porcelain, gold, composite resin, and amalgam. There is really no best type of filling, as several factors come into play. Your reaction to different material, the shape of the tooth, extent of repair, and where the filling is needed will be determining factors as to what material is used with your filling. • The gold fillings that are used are made in a laboratory, then cemented into place by the dentist. Gold material fits well with the gums, and can last you for many years. Gold is considered by many to be the best, although it is also the most expensive and will require you to visit the dentist several times before the filling will be complete. • Silver fillings on the other hand, are less expensive than gold materials and they can be quite resistant to wear. With their color being dark, they are easier to notice than composite or porcelain fillings, and aren’t recommended for visible areas of the mouth, especially the front teeth. Composite fillings are a common type of material, as they match the color of your teeth. The material that makes up the composite filling is mixed then placed directly in the cavity, where it hardens. They last several years, although composite isn’t recommended for large cavities, or areas where they may chip. • The final type of filling is porcelain. Porcelain is very common, and produced in lab where it will be matched to your teeth then bonded to the affected tooth. Porcelain fillings match the color of your teeth, and are resistant to any type of staining. The costs for porcelain fillings can be very expensive, some costing as much as gold fillings. Buy a Dental Repair Kit at Walgreen’s or Amazon.com that consists of the adhesive and a little stylus. 1. For a loose crown. Remove crown and clean the crown and your tooth with a toothbrush. 2. Take a pick or pointy knife and carefully remove all tooth and old dental adhesive product from the inside of the crown. 3. Press crown back on tooth to make sure it will still fit. If it does not you are stuck and must wait till you can see your dentist. If it fits remove it and lightly fill inside of crown with the Dentemp or other temporary dental adhesive material. 4. Press crown back on the wet tooth, press firmly. Then bite down a few times to make sure that it is a comfortable fit. 5. If any of the Dentemp or dental adhesive material leaked out of the sides of the crown you will want to clean it up and remove it. Rinse mouth well with water. 6. Most dental repair kits require that you do not eat anything for at least 1 hour after applying. 7. For a lost filling or broken tooth. Brush tooth to remove any debris. Wash hands. 8. Open canister of Dentemp or other temporary dental adhesive. remove a small amount of the Dentemp or other dental adhesive and form it into a small ball. 9. Firmly press the little ball of Dentemp or other dental adhesive into the tooth that lost the filling and make sure to fill hole, bite down to insure it is comfortable. 10. Remove any excess Dentemp or other dental adhesive, rinse mouth thoroughly, then Do Not eat for one hour to allow it to set firmly. One of the common themes with dental emergencies is that, the quicker you get treatment, the better long-term prospects that treatment will usually have. Therefore, if you have a tooth knocked out, that tooth can often be saved if you get to the dentist quickly enough. Assuming of course, that you have picked up the tooth and brought it with you! As more and more people are realising the benefits of early treatment, emergency dental repair kits are becoming far more popular. Emergency Dental Kits are a relatively new phenomena. These are kits that you can buy over the counter in pharmacies and supermarkets and which contain a wide variety of dental treatments for emergency situations. Essentially, an emergency dental kit will give you the opportunity to effect some preliminary care before going to the dentist. 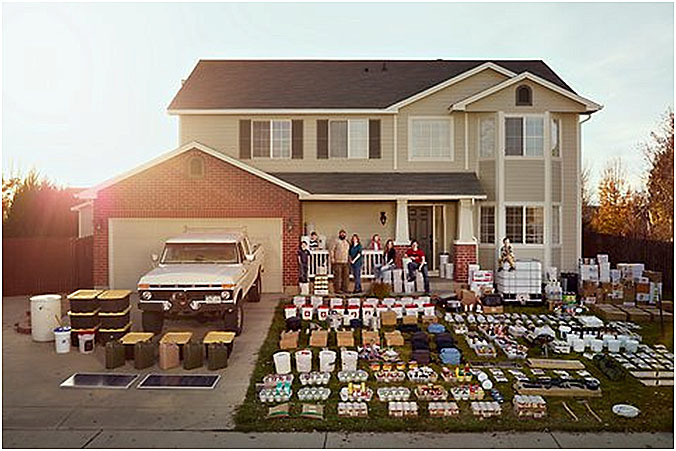 An emergency kit will not give you the materials you need to treat yourself properly. However, it may just mean you can patch yourself up enough to stop the pain, protect your teeth and get professional treatment. B. What can be treated with a dental repair kit? Experiencing toothache: you may be suffering from toothache caused by a cavity which you cannot see or reach. Your dental kit will usually include some clove oil and cotton wool. Clove oil contains eugenol, which is a powerful natural pain-killer. Dilute it with some olive oil and soak the cotton wool, then bite down on the cotton wool with your affected tooth. This should help soothe the pain. • Losing a tooth: your mouth is full of blood vessels so, sometimes, when you lose a tooth the cavity can bleed quite heavily. Your dental repair kit will contain cotton wool balls that you can use to staunch the flow of blood. It may also contain some pain-killing gel that can be used to soothe sore, tender and inflamed gums. • Losing a filling: we all lose fillings from time to time and a lost fillings can mean that your tooth becomes immediately very sensitive to hot and cold. Some dentists recommend sticking sugar-free gum over the cavity until you can get professional dental treatment. Your dental kit, however, will include dental cement that can be used to cover the cavity. This will also help to stop debris getting trapped in the cavity, irritating the tooth and therefore causing more pain. • Fracturing a tooth or losing a crown: if the structure of your tooth is weakened by decay, then the tooth can split or crack unexpectedly. This can of course be painful and it requires immediate professional treatment. In your emergency dental kit, you will usually find a temporary crown and dental cement. This crown can be used to cover the broken tooth and protect it from further damage until you can get to your dentist. • Breaking a denture: many people who wear dentures find that keeping an emergency dental kit handy is useful. Dentures can easily be damaged, cracked or broken and, when this happens, it can be uncomfortable and embarrassing to have to manage without them. An emergency dental kit will include orthodontic wax that can help to smooth the edges of damaged dentures. You may also be able to use dental cement to make minor, temporary repairs to broken dentures. Of course, you do not necessarily have to go out and buy a branded dental repair kit. With a little bit of research, you can learn more about the kinds of products that are useful and put together your own pack. In many ways, spending a bit of time getting to know different items will mean you are more likely to know what to reach for when the pressure is on! • Clove Oil: Clove oil is used prominently in dental care, in products like mouthwashes and tooth pastes. Clove oil has pain killing properties which help it to soothe tooth aches, inflamed gums and sores such as mouth ulcers. It can also help keep the breath fresh and you can easily buy it in your local chemist or natural health store. • Dental Floss: Dentists recommend that you floss regularly. Even if you do not, you should still keep some dental floss in the house. It is useful for removing items or debris that become stuck in your teeth. • Antiseptic mouthwash: There are different types of mouthwash available. However, a mouthwash that contains antiseptic can help to clean blood away from a wound or to wash away debris from a shattered filling, for example. • Cotton wool: Whether you need to staunch the flow of blood or stop a filling from hurting, the patient often needs to bite down on something. So keep plenty of cotton wool in your kit, as this does the job perfectly. • Pain Killing gel: There are a number of pain killing gels available on the market under different brand names. These gels are appropriate for a number of different purposes, from soothing teething pain in children to relieving the pain from canker sores in adults. They can also help with pain caused by ill-fitting dentures. These are the basics of any home dental emergency kit. Of course, there are many more items that you could potentially add to it. However, it is important that you strike the right balance between equipping yourself for emergencies and ensuring that you know when to call your dentist. Dental module supplies and complete instruction manual for treating dental emergencies in the field. Module comes heat sealed in a resealable bag for easy access and storage. • Ibuprofen (Advil, Motrin)The best over-the-counter painkillers for toothache are non-steroidal anti-inflammatory drugs including ibuprofen. Ibuprofen is sold under many brand names, but the most common are Advil and Motrin. Dentists often prescribe 800mg Ibuprofen every four (4) to six (6) hours as an alternative to narcotic pain relievers. • Acetaminophen (Tylenol) or even aspirin are also pretty good for dental painkiller. However, dental pain often comes from inflammation and pressure on various tissues and nerves of the face. Ibuprofen can be better for dental pain because they are both pain relievers and good anti-inflammatories, vs. Tylenol-acetaminophen, which is only a pain reliever. • If a cavity is causing your toothache, rinse your mouth with warm water and use a toothpick to remove food from the cavity. Soak a piece of cotton with oil of cloves and pack it into the cavity, but avoid getting any oil on your tongue. • Tip: “If your pain is from nerve damage and you are getting the spontaneous night pain try sleeping in a sitting position. The nerve and pulp chamber doesn’t get filled with fluid and blood and usually u don’t get that throbbing pain. Pain, especially to cold things, can also be caused by exposed dentine – the inner substance of the tooth, which is covered by enamel. The enamel can get quite thin, especially where the tooth meets the root (at the gumline). The root is covered by a substance called cementum, which is easily worn away. Dentine contains little tunnels (tubules) that link to the nerves on the inside of the tooth, and when dentine is exposed, these nerves are easily stimulated, resulting in pain. • QuickStix Oral Pain Swabs (topical anaesthetic): Contains 20% Benzocaine for maximum pain. Also safe to treat canker sores and sore gums. Using the swab tip, apply a small amount of medication to the affected area including the surrounding gum or oral tissue. Use up to 4 times daily or as directed by a doctor or dentist. Caution: Don’t use this product continuously. Do not use if you have a history of allergy to local anesthetics such as procaine, butacaine, benzocaine, or other “caine” anesthetics. Please note that such products are meant to be temporary measures – so don’t expect them to last long (4-5 days if you’re VERY lucky). 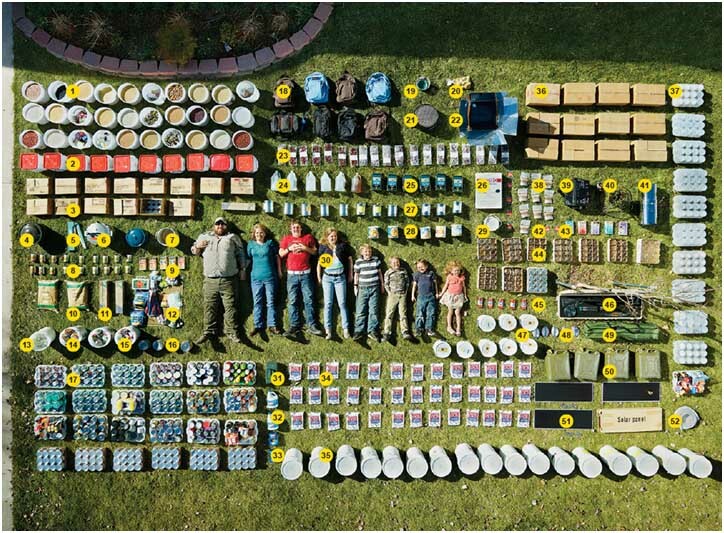 Most of us have stored food, water, and supplies with plans for sustainable replacement. For example, we are planting gardens, raising chickens and rabbits, have rainwater barrels, and manual pumps for our wells. But what happens when the toilet paper runs out? 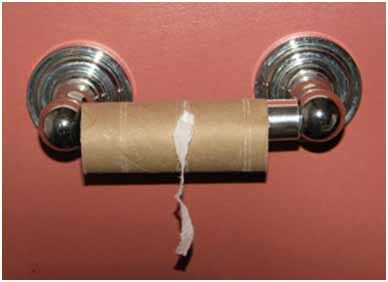 If we are planning for a long term event, we need to face the scary fact that toilet paper is not a renewable resource and will eventually run out. I know some people who have a panic attack at the thought of that. What are our options? What did people do before toilet paper was available? Everyone has heard about dried corncobs (ouch). When I was a child visiting my grandparents in the Appalachian mountains, I had to use their outhouse. Everyone in that area used old Sears’ catalogs. I would tear out a page and rub the page together as my cousins taught me to soften it a bit. Slick paper doesn’t work so well. I have read that Indians and pioneers used leaves. Some cultures use just their hand. For obvious reasons, none of these alternatives seem very attractive to me. Almost two years ago someone started an entertaining thread on the American Preppers Network about the use of “family cloths.” I will admit that the idea of using cloth toilet wipes to be be washed and reused pretty well grossed me out. I thought, “These people are nuts!” Then about a year ago I decided to make some “for emergencies.” Once I made them and started using family cloths, I found I prefer them to toilet paper and miss them when I travel away from home. I found a website that sells them as baby wipes and bought a dozen to try. I liked the way they were made and bought the fabric to make my own. They are two layers, one terry cloth, the other flannel. I zigzag the edges in a very close stitch to keep them from unraveling. They are approximately 5″ X 7″. I made some smaller ones for those times when just a little blotting is needed. I made 40 cloths out of one yard of terry and one yard of flannel. They are thick, soft, and substantial. I bought white fabric because I use bleach. After being used for a year, they still look like new. I am the only one in our household who uses them. 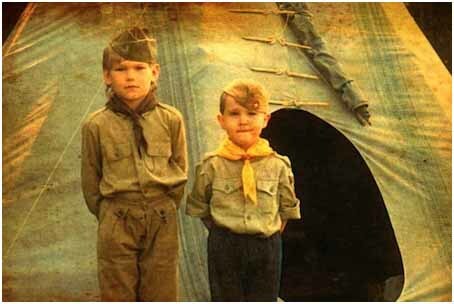 Some people make them in different colors, one color for each person in the family. Many people save money by making them from old linens, t-shirts, or washcloths. I am not 100% toilet paper free. I use a few sheets of TP initially followed up with the cloth. I wet the cloth with water and a little soap on one end of the cloth on the terry side. A dry cloth works for other times. Following use, I fold the used cloth in half and place it in a large plastic container of water with a little laundry soap and Oxiclean and cover with a lid. There is no odor and nothing gross about draining most of the water off of them and just dumping the cloths into the washer. I wash them with homemade laundry detergent and bleach. They come out perfectly clean and white. I have gone from using one roll of toilet paper a week to one roll a month. When the toilet paper runs out, I won’t be using corn cobs or a Sears catalog. As I posted above, the key to avoiding stains is to put used cloths in a bucket (I use a plastic coffee can) of water with a bit of detergent and Oxiclean to soak until they are washed. I use the lid of the bucket to drain the water off them into the toilet before washing. I wash mine about once a week whenever I do laundry. If there were more people using them, I would wash them more frequently. I do not use bleach to soak them which would shorten the life of the fabric. I wash them in the washer by themselves with laundry detergent, Oxiclean, and bleach. (I don’t measure.) Since it is a “small” load, I use less than a cup of bleach. It has now been over two years since I started using the cloths daily. They still look like new with no stains just like in the blog pictures. The material and stitching have held up well with no mending needed. It is not unlike what you would do with white cloth diapers. I keep cloths and a container for soaking in my master bath and the half-bath I use on the first floor. 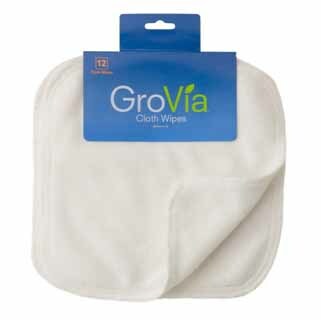 Because I use a few sheets of toilet paper for a first wipe when I do more than pee, the cloths are not really gross. If I ever don’t have access to TP, I will be fine using the cloths exclusively. I bought the ones that are 5″ X 8″, two-sided terry and flannel, 12 for $9.95. > Our ultra soft baby terry wipes are gentle enough for baby’s face yet perfect for cleaning the messiest bums. 1. It saves money. I used to love coordinating all the cute tissue boxes with my bathrooms (wow, that’s marketing at its finest), but I estimate we probably spent $20-$40 per year just on facial tissue. Not a huge savings, but I can certainly think of other things I could use that money for. We have not purchased a box of tissue in almost a year, and the tissues we purchased before that were to keep available for guests. 2. It produces less waste/saves resources. I have been so thankful for handkerchiefs as we strive to go paperless in our house. They take up very little space in the laundry and prevent our trash from filling up so quickly. Keep a stack of hankies in an easily accessible drawer in the house so family members aren’t tempted to use the paper alternative. behind, and never rip as I’m using them. The white fuzz left on Matt’s face after using facial tissues is a thing of the past. (I kind of miss being able to laugh at this.) Hankies won’t create trouble in a load of laundry if accidentally left in a pocket–and we’ve all had this laundry mis-hap with tissues. Picking a gazillion of those little white tissue remnants off clothes coming out of the washer? Ugh! Never again! In fact, you’ll just end up with a clean hanky if one is left in a pocket. 5. Hankies are more sustainable. Handkerchiefs are a much more sustainable replacement for facial tissues AND many other things. Think about replacing other things in your home with hankies…paper napkins, paper towel, toilet paper, tissue paper, or other things around the house that might currently be disposable. We no longer have to worry about running out of tissues. In the past, when the last tissue had been used, we would grab for toilet paper and frantically run to add tissues to the grocery list. With hankies, you can grab a fresh one whenever your current one is getting icky, and you can forget about a trip to the store. Washing handkerchiefs is relatively easy. The hard part lies in making sure the stains and nasal fluids have been completely removed from the fabric before sterilizing it for future use. 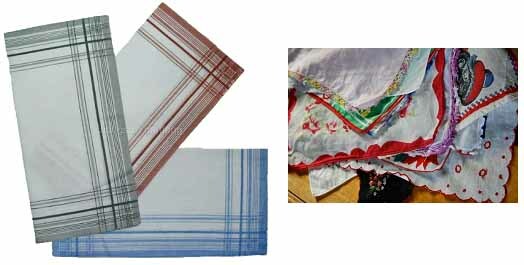 Handkerchiefs come in many styles, including lace edged and monogrammed. Test any cleaning method on an inconspicuous spot before attempting to clean your handkerchiefs whether you are laundering basic cotton handkerchiefs in the clothes washer or by hand. 1. Address any stains or spots on the handkerchief fabric first. 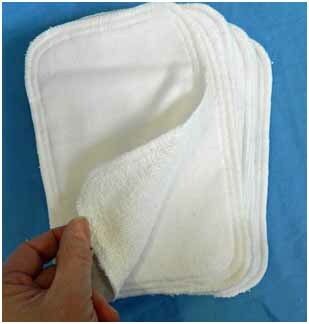 Spray spot remover on the handkerchief as soon as possible after the stain occurs to help prevent setting the stain. Allow the cleaner to work for some time before laundering. Don’t let the stain remover completely dry or it might enhance the existing stain or create another one. 2. Fill the sink basin with hot water and 1/8 cup of bleach (or color safe bleach for colored fabric handkerchiefs). Immerse the handkerchiefs into the water and allow to soak for some time. This step helps sterilize the fabric to remove germs. 3. Place the handkerchiefs into the clothes washer and set the dial for a delicate cycle. Use hot water to help sterilize the fabric. Include the appropriate amount of laundry detergent for the load. 4. Either air dry or tumble-dry the fabric handkerchiefs, removing the items from the drier while still slightly damp to help release the wrinkles. 5. Soak the handkerchiefs in a sink basin filled with a small amount of chlorine bleach and water to remove germs and bacteria after testing to make sure to the fabric can handle the harsh affects of bleach. 6. Fill the sink basin with hot water and a tablespoon of laundry detergent. 7. Immerse the handkerchiefs completely into the water, squeezing the fabric to make sure it absorbs the water. Wring the fabric to make sure detergent gets into the fabric as well. 8. Allow the handkerchiefs to soak for 30 minutes. 9. Run clear, cool water over the fabric until all bubbles are removed. Be careful not to wring the fabric too much as this will create wrinkles. Hang the handkerchiefs up to dry. Many household products like detergents, furniture polish, disinfectants, deodorizers, paints, stain removers, and even cosmetics release chemicals that may be harmful to human health as well as cause environmental concerns (see the table below, “Household Products and Their Potential Health Effects”). Insecticides, pesticides, weed killers, and fertilizers that are used for maintaining one’s lawn and garden are another source of household pollution. Their entry into the house could occur through air movement or adsorption by shoes and toys, which are then brought inside the house. From time to time, homeowners complete a variety of remodeling projects to improve the aesthetic look of their house. These include new flooring, basement remodeling, hanging new cabinets, removing asbestos sheets, scraping off old paint (which might contain lead), and the removal or application of wallpaper. Such activities could be a significant source of indoor air pollutants during and after the project. Asbestos, formaldehyde, benzene, xylene, toluene, chloroform, trichloroethane and other organic solvents, and lead dust are the main pollutants released during remodeling. Homes built before 1970s may pose additional environmental problems because of the use of lead- and asbestos-containing materials. The use of both materials was common in building construction prior to the 1970s (e.g., lead-based paint used to paint homes). There are several steps one can take to reduce exposure to household chemicals. The table below provides a list of alternative products. One can bring unused and potentially harmful household products to a nearby chemical collection center; many communities have such a center. Chemicals received at these centers are recycled, disposed of, or offered for reuse. One may also purchase just the amount needed or share what is left over with friends. In addition, one should always avoid mixing different household chemicals. Most of the chemicals released during remodeling projects are toxic in nature, and some of them are even carcinogenic. Proper care, such as employing wet methods for suppressing dust, use of high-efficiency filters to collect fine particulates, and sealing the remodeling area, must be taken while remodeling to prevent the emission of harmful chemicals into the surrounding air. Reducing material use will result in fewer emissions and also less waste from remodeling operations. Another good practice is to use low environmental-impact materials, and materials produced from waste or recycled materials, or materials salvaged from other uses. It is important to avoid materials made from toxic or hazardous constituents (e.g., benzene or arsenic). Indoor air quality should improve with increasing consumer preference for green products or low-emission products and building materials. Green products for household use include products that are used on a daily basis, such as laundry detergents, cleaning fluids, window cleaners, cosmetics, aerosol sprays, fertilizers, and pesticides. Generally, these products do not contain chemicals that cause environmental pollution problems, or have lesser quantities of them than their counterparts. Some chemicals have been totally eliminated from use in household products due to strict regulations. Examples include the ban of phosphate-based detergents and aerosols containing chlorofluorocarbons. Silver cleaner Add 1 teaspoon baking soda, 1 teaspoon salt and a 2″ x 2″ piece of aluminum foil to a small pan of warm water. Soak silverware overnight. “It’s a huge red flag,” said Richard Snyder, director of the University of West Florida Center for Environmental Diagnostics and Bioremediation. “It seems abnormal, and anything we see out of the ordinary we’ll try to investigate.” Are the illnesses related to the BP oil spill, the cold winter or something else? That’s the big question Snyder’s colleague, UWF biologist William Patterson III, and other scientists along the Gulf Coast are trying to answer. If the illnesses are related to the oil spill, it could be a warning sign of worse things to come. In the years following the 1989 Exxon Valdez oil spill in Alaska’s Prince William Sound, the herring fishery collapsed and has not recovered, according to an Exxon Valdez Oil Spill Trustee report. The herring showed similar signs of illness — including skin lesions — that are showing up in Gulf fish. Worried that same scenario could play out along the Gulf Coast, Patterson is conducting research on the chronic effects of the BP oil spill on Gulf fish. And he sees troubling signs consistent with oil exposure: fish with lesions, external parasites, odd pigmentation patterns, and diseased livers and ovaries. These may be signs of compromised immune systems in fish that are expending their energy dealing with toxins, Patterson said. He’s conducting the research with some of the $600,000 in BP money distributed to UWF from $10 million the oil company gave to the Florida Institute of Oceanography in Tampa to study the impact of the spill. As part of his studies, Patterson is collecting samples at targeted sites in the Gulf and from commercial fishermen. Samples from his targeted sites have shown fewer problems than those from fishermen. While Patterson is alarmed, he’s quick to point that the Gulf’s ecosystem never before has been scrutinized as closely as it is now, or by so many scientists. “Are we looking more closely, or are these unusual?” he said. Sick fish have been reported from offshore and inshore waters from Northwest Florida to Louisiana, he said. Scientists are trying to figure out how prevalent these abnormalities are and their cause. Patterson and Florida A&M University scientists are conducting toxicology tests to find out if the fish were exposed to hydrocarbons or oil. Results are not final. Scientists at Louisiana State University’s veterinarian school are in the Gulf looking into what microbes might be causing the diseases. Pensacola marine biologist Heather Reed is studying red snapper for a private client using broader testing methods than mandated by the federal government, which she says are not adequate. “I’ve been testing different organs in game fish that have been brought to me, and I’m seeing petroleum hydrocarbons in the organs,” said Reed, the environmental adviser for the City of Gulf Breeze. “I was shocked when I saw it.” She is trying to secure grants to continue that research and is talking to federal and state officials about her findings, she said. All the studies are aimed at one goal: “To find out what is really going on and get things back to normal,” Reed said. But both Reed and Patterson say it’s hard to determine just how many fish are being found sick because many commercial fishermen are reluctant to report their findings to state and federal officials out of fear fishing grounds will be closed and their livelihoods will be put at risk. But at the same time, to protect the future of the Gulf, Patterson said, the fishermen quietly are asking scientists to look into what is happening. Patterson’s studies and those of other scientists delving into this mystery of the sick fish are not trying to determine whether the seafood is safe for public consumption. “There is fish health and human health, and we’re concerned about the sublethal effects of the oil spill on communities of fish,” he said. Findings so far demonstrate that studies need to continue far into the future, he said. The $500 million BP has provided for long-range research on the Gulf oil spill will ensure “people will be examining the impacts for the next decade,” Patterson said. The cause of the fish illnesses may be hard to nail down, Snyder said. This is as sinister as it gets! BP has destroyed the gulf and is now working with the U.S. military to get it in the homes of American troops (already poisoned by continued exposure to depleted uranium) throughout the country! Multiple scientists have declared gulf seafood toxic and for good reason. Over 2 million gallons of toxic dispersant has been sprayed in and around the gulf. The facts are so heavily documented that there is no logical way that any literate human being not pushing an agenda could believe otherwise. To top it off, Ewell Smith, executive director of the Louisiana Seafood Promotion and Marketing Board, is pushing for this toxic cocktail to be served in in school lunch programs nationwide! The children of this nation are already heavily medicated/poisoned and the last thing they need is Corexit seafood. This is the America that we currently find our self in. An international company has been allowed to control their own massive oil spill, obliterate the gulf with Corexit, ban the first amendment on the beaches they littered with Wackenhut thugs, and use 30 billion dollars to promote their seafood to the American people. Imagine the horror of being one of the families that had their lives destroyed by the oil spill and seeing a carefully crafted commercial promoting BP and gulf seafood. Where is the FCC when we need them? I recently attended a forum at Seattle University that was put on by both Project Gulf Impact and students at the university who were so touched by the spill and its impact that they asked PGI to come to their school and put on an educational forum. What transpired was three hours of groundbreaking information including multiple fisherman who have had their businesses destroyed and families sickened by the disaster. The American people are soon to be subject to a huge BP marketing ploy and we must do everything in our power to get the word out on the dangers of the gulf waters and seafood. Call me crazy, but a ‘smell test’ is just not adequate enough for a fish that has been subject to months of Corexit exposure. We have documented the events of this disaster from the beginning and it has become undeniably clear that the waters, people, and seafood of the gulf were poisoned beyond belief.